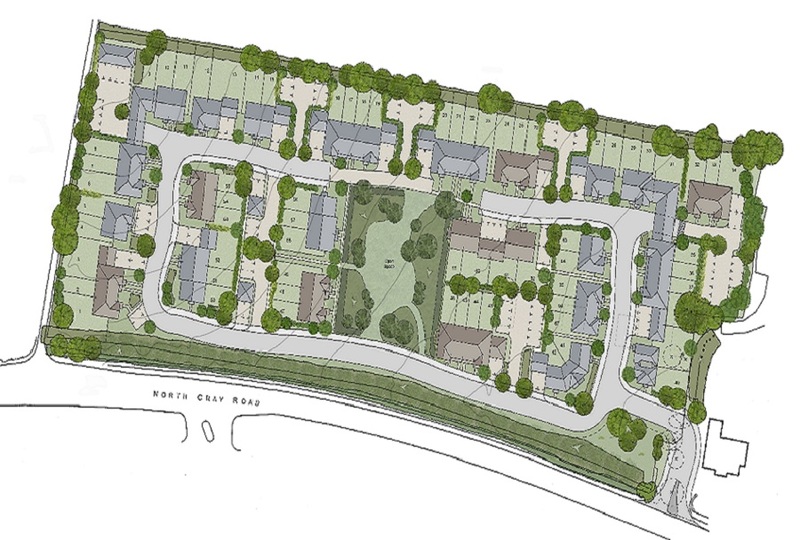 Outline planning application for up to 67 new residential units, including 35% affordable housing. Provision of a new pedestrian and vehicular access onto North Cray Road; associated infrastructure, landscaping proposals, and new public open space. Under consideration and pending decision by London Borough of Bexley.